Birmingham based hypnotherapist Debbie Williams is one of the original UK assistants to Dr Richard Bandler, co-creator of NLP, and Paul McKenna. She has helped them on nearly 50 NLP courses since the mid 1990s, as well as serving a 6-month apprenticeship with Richard. Being one of the students on his year long course at Kings College, London. Debbie has also trained with many other pioneers in the field of psychology, hypnosis and personal development. Debbie has helped many clients over the years in her own successful clinical practice, many of them referred by Paul, with others coming from the Just Be Well clinic, No.1 Harley Street, London. Debbie can help you with addictions including cocaine, food and eating disorders and binge drinking as well as anger, jealously, lying, public speaking fears, interview nerves and life coaching. More about Debbie Williams Or you can contact us now. 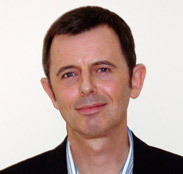 Peter is a respected NLP coach and psychotherapist who began working in the field of professional and personal development in 1993. He is a Graduate Member of the Human Givens Institute (HGI) and a Certified NLP Coach. His clients include chief executives, university lecturers, NHS management teams, medical practitioners, teachers and students, as well as couples and families evaluating and rebalancing their relationships. More about Peter Silvien Or you can contact us now. Debbie has helped a broad spectrum of people: from life coaching corporate clients to Olympic athletes. Her clients have overcome many issues, such as anger or fear of public speaking. And the work she has done with self-made business owners has allowed them to achieve results they had previously only ever dreamt of. Debbie has guided many people to successfully triumph over weight loss, binge eating, bulimia and other food-related issues. Many times after helping clients she has gone on to coach them to live their life in more positive, satisfying ways and to reach goals they once thought unattainable. 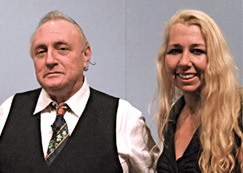 Debbie started her NLP training in 1994 and went on to be a graduate of the now famous year-long programme at Kings College, London with Dr Richard Bandler, co-creator of NLP. She then assisted Richard and Paul McKenna in more than 40 7-10-day NLP courses, plus numerous shorter ones. Debbie regularly receives referrals from Paul. Debbie also assisted Tony Robbins, one of the world’s most respected life coaches, on his UK seminars over a 10-year period. She has trained with many other innovators too, including Steven Brookes at BHR Brittish Hypnosis Research. How can I work smart (not hard)? How can I make more money than I know what to do with? How can I be worth 10 times more, 100 times more, 1000 times more? How can I make my life more rewarding, satisfying and happier now? These questions set your mind on a new, more positive track, and, as she knows from her own experience and that of her clients, they can have an almost miraculous effect. Debbie makes a point of including questions like these on her self help CDs. She has taken the following courses: effective counselling; psychological approaches for pain control; understanding depression; solution-focused therapy; understanding and stopping addictive behaviour, accelerated learning and quantum reading. Her in-depth knowledge of the latter two areas has enabled her to help many clients excel in exams. Debbie is a firm believer in giving back to the community and, for many years, used to teach NLP at Adult Education and local colleges. She believes in helping people in most need—even if they lack the means to pay for it. As a result, she offers her products to homeless centres, prisons, women’s refuges, cancer support groups, addiction centres for young people and other organisations at greatly reduced prices. Email Debbie for further details or if you'd like to sponsor this work. Debbie’s interest in personal development began in the late 1980s, when she used it to help turn her retail business and her life around. She initially trained with Tony Robbins, Penny Tomkins and James Lawley. Her initial hypnotherapy training was with British Hypnosis Research’s (BHR) Stephen Brookes, the leading Ericksonian hypnosis expert, and the respected psychotherapist and co-founder of Mindfields, Joe Griffin. Peter’s work in coaching has evolved from a background in information systems, communication and accelerated learning, and builds on a lifelong fascination with human potential. He has a particular interest in ‘helping the helpers’—working with fellow professionals and those in other fields to improve health, balance and effectiveness in their business and personal lives. He is gifted at seeing to the heart of complex situations and brings clarity and understanding through insightful questions in his relaxed, perceptive style. In his therapy practice, both private and within the NHS, he also works with people dealing with divorce, bereavement, chronic anxiety or depression and psychological trauma. Using the powerful tools of NLP and founded on his deep understanding of Human Givens psychology, Peter regularly helps such clients achieve relief and transformation beyond their expectations. Debbie Williams is also a clinical consultant for Just Be Well, based at No.1 Harley St, London, which specialises in NLP and hypnosis. The clinic's therapists are located throughout the UK; Also many of the therapists offer Skype sessions to help with your issues.